Due to its light pink color, the Hoya Skylight 1B (HMC) Multi-Coated Glass Filter reduces the bluish cast of daylight to produce a pleasing, warm picture tone. Wise initial investments, Skylight filters help protect your lens from dust, moisture, and scratches that can lead to costly repairs. The filter is multi-coated to minimize reflections on the filter surfaces, which reduces flare and ghosting. 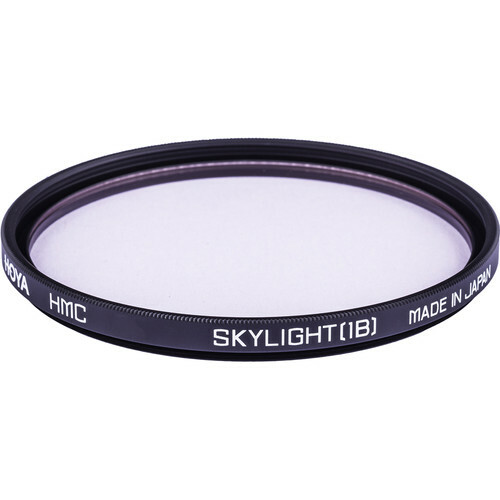 82mm Skylight 1B (HMC) Multi-Coated Glass Filter is rated 5.0 out of 5 by 2. Rated 5 out of 5 by Anonymous from Hoya filters are a must I use Hoya Skylight 1B filters on all my lenses. First to protect then to filter the bluishness for portrait shoots outside.